There is a popular trend these days for philanthropic tourism, or “voluntourism”— that is, spending time doing something useful, meaningful, or socially responsible in your community, elsewhere in your country, or farther afield. Perhaps the most exotic of these is to go to developing countries and contribute time to help with activities like disaster recovery or support for non-profit organizations. If those options are not within your scope, then there are also many good causes closer to home. The choice is yours. 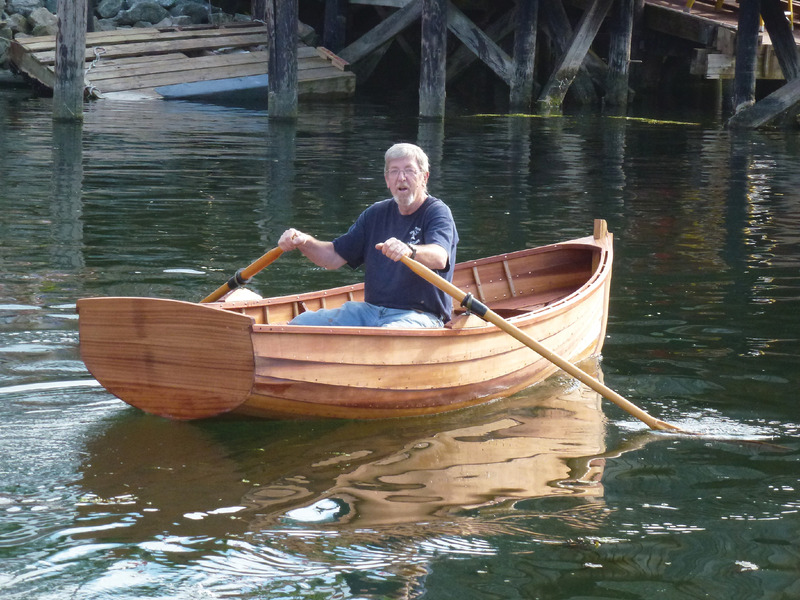 Trying out a completed traditional wooden skiff. For most volunteer programs the normal requirement is for the volunteer to pay for their own travel, as well as their accommodation and other costs, for periods ranging from two weeks to several months. The organizations usually have screening processes to make sure that the volunteer is going to be able to contribute to the project, and the prerequisites are often available for self-evaluation before going to the trouble of applying. But you also need to do your homework on the organization to make sure it is appropriate. This is what the organization Helping Hands advises in reference to volunteering in Africa. It is equally valid for other destinations. Make sure you volunteer to work for a reputable organization. Most organizations will be happy to provide you with any documentation such as registration certificates. Do research into the culture and history of South Africa. If you are going to live among the locals and want to be accepted, you will need to respect their customs and heritage. This is not a glamorous holiday. If you were thinking Jimmy Choo and Gucci, you should reconsider. You will get dirty, your nails will break and you will probably have to make do with the very bare necessities. Go with someone you know. A strange country, people you don’t know, different cultures and the emotional issues surrounding a volunteering holiday can be overwhelming for some. If you have a familiar face around, it makes all the difference. Plus, you have the opportunity to create very special memories with someone you love. There is a seemingly endless list of options for voluntourism. You can help to rebuild homes in hurricane-damaged New Orleans, for example, with organizations like Habitat for Humanity (http://www.habitat-nola.org/) or take part with Earthwatch (http://www.earthwatch.org/exped/steffen.html) in the first excavations ever to be conducted at obsidian quarries in the Valles Caldera National Preserve in northern New Mexico (Earthwatch is also known for its family-oriented projects). Other well-known organizations like Oxfam (http://www.oxfam.ca/what-you-can-do/volunteer-with-oxfam) are always looking for volunteers to work at home and abroad to support their efforts. There are organizations to serve the variety of interests, with some even offering luxury volunteer programs such as ITC Giving (http://www.itcclassics.co.uk/itcgiving/#). For those less inclined to physical labour, there is always the need for help at many levels of these activities. There are also situations where just going along for the ride is help enough. One such situation is ideal for those having a desire to see Antarctica. You should look for companies that partner with one of the many research vessels that take along paying passengers, like Scantours (http://www.scantours.com/antarctica_cruise.asp). The research organizations get the benefit of funding for their work, and you get the benefit of having naturalists on board to give you information on the geography, climate, wildlife and history of the white continent. And don’t overlook opportunities closer to home. There are plenty of professional associations, societies and service organizations that need your help. 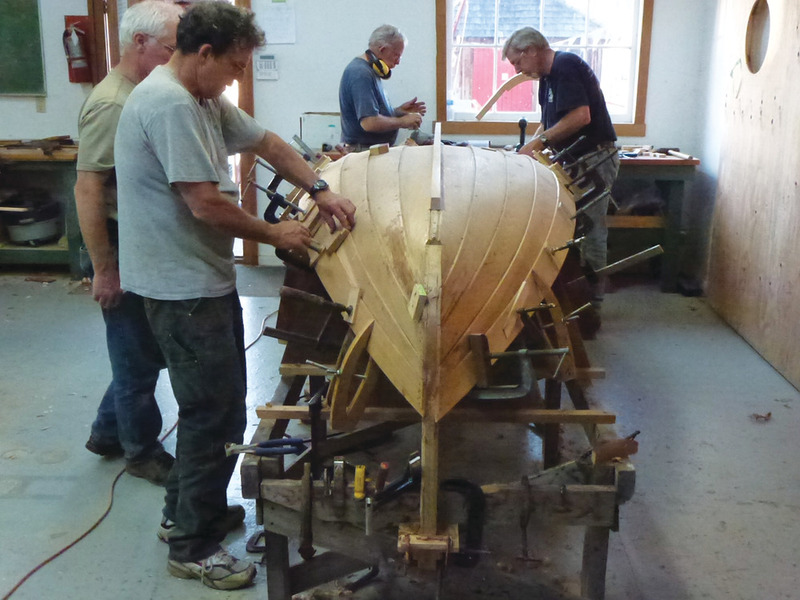 I had the opportunity recently to participate in a boat-building workshop for the benefit of the Cowichan Bay Marine Society (http://www.classicboats.org/index.html). 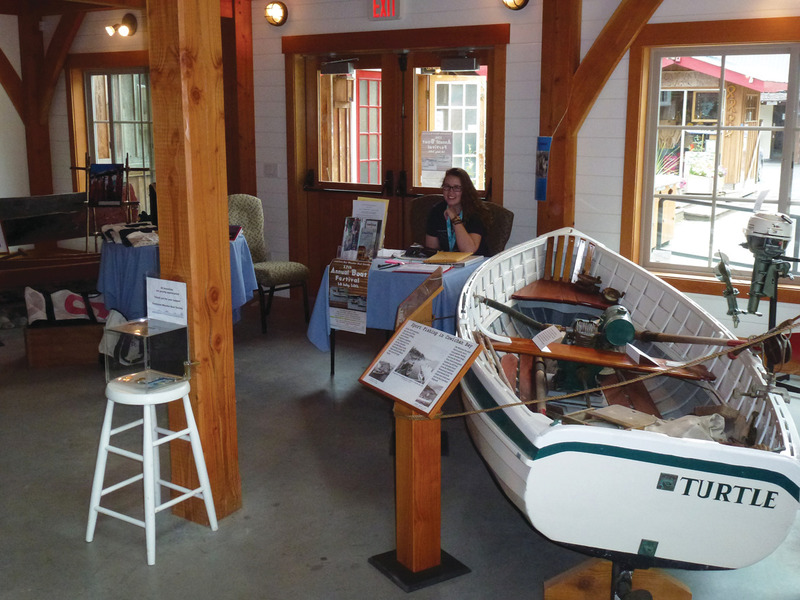 Located in picturesque Cowichan Bay on the east coast of Vancouver Island in British Columbia, the Society is dedicated to preserving the marine history of the area and exhibiting examples of boats, engines and equipment dating back to early settlement. The traditional wooden dinghy that we built will be raffled off to raise money for the Society. A display at the Cowichan Bay Maritime Centre Museum. 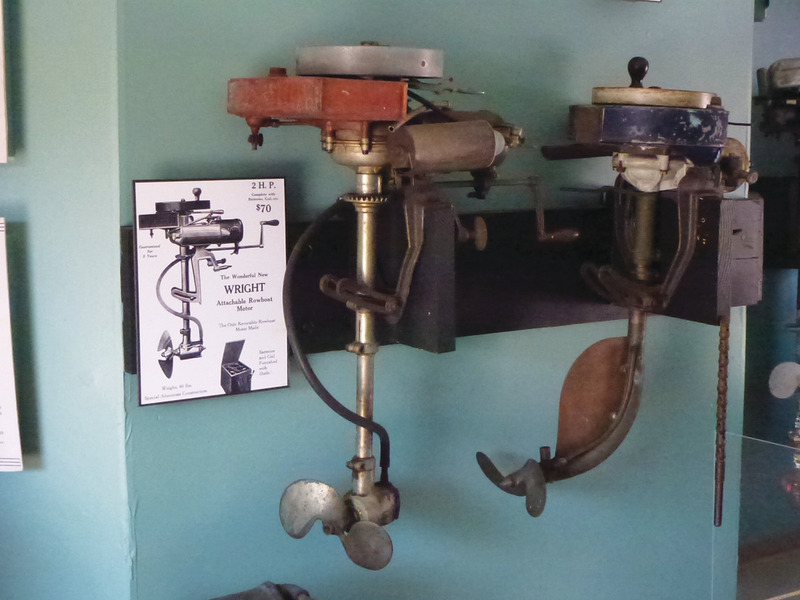 Exhibits of early outboard engines. Being a sailor I was particularly drawn to this project, partly to indulge in working with wood and partly to help preserve and foster the learning of those skills. The program ran for eight days and had six participants. 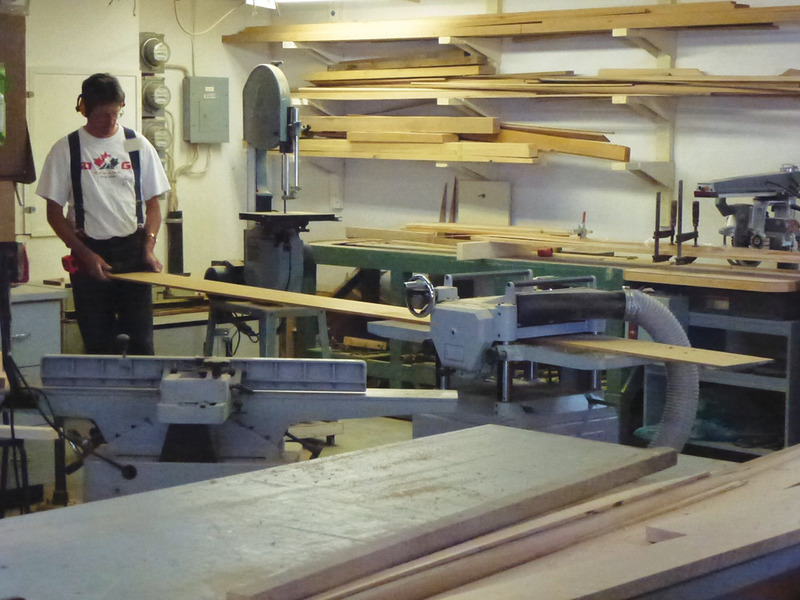 Some woodworking experience is required, but the workshop teacher is a professional shipwright with over thirty years in the trade and was able to help those with lesser skills to enjoy the program equally. It was hard work at times, but interesting and engaging, and we were all proud of the final result. Planing the hull planking for the traditional wooden skiff. Steamed planks are fitted to the shape of the hull. 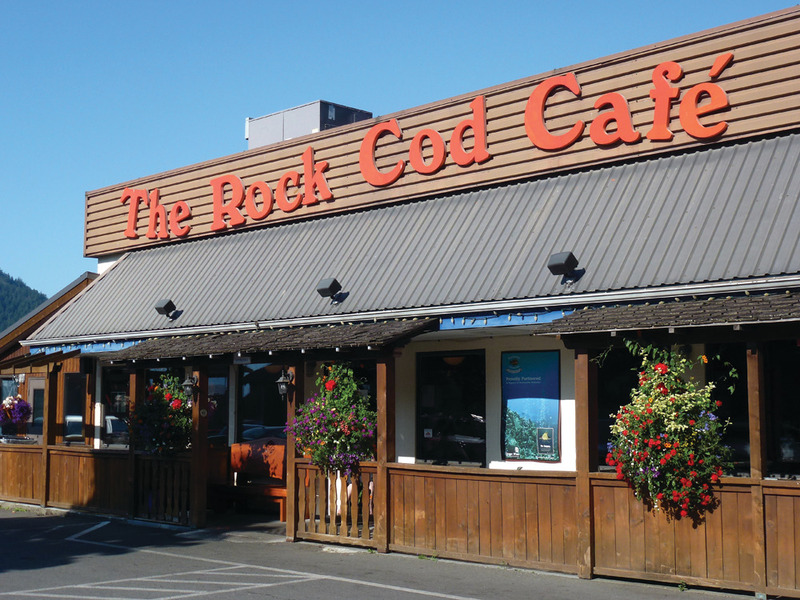 There are many different types of accommodation available in the Cowichan Bay area, ranging from waterfront hotels to bed-and-breakfasts, and plenty of restaurants serving local seafood exclusively or as part of their daily menus. One highlight for me was the local bakery that attracts customers from all around the area with its wonderful baked products as well as locally made jams and other goods. I spent a number of happy hours there over cups of tea and a freshly baked treat! 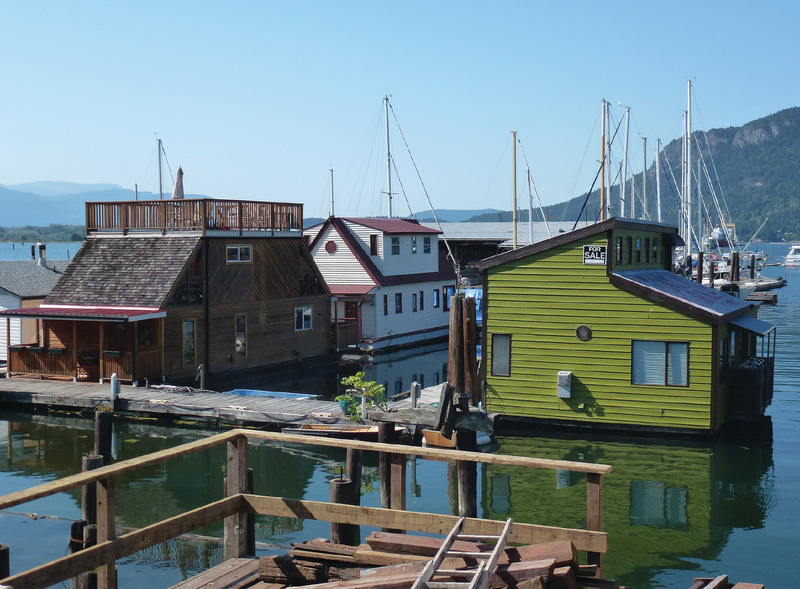 Floating homes along the waterfront in Cowichan Bay. 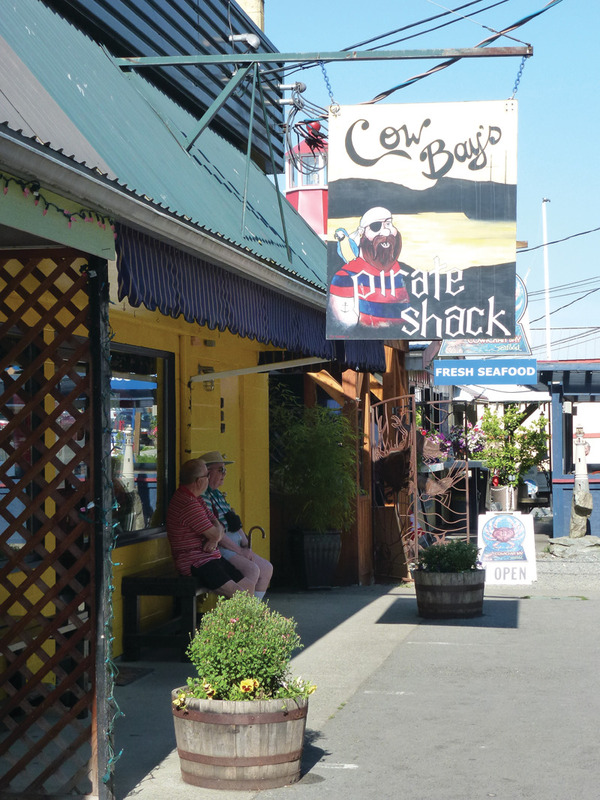 One of many Cowichan Bay waterfront restaurants. Waterfront scene at Cowichan Bay. One of the advantages to voluntourism is seeing new places and meeting new people. Cowichan Bay did not disappoint in this regard (http://www.cowichanbay.com/). In July there was a good mix of locals and tourists walking the strip of shops and restaurants that line the waterfront. I met people from the USA, Europe and other parts of Canada. If you go, take time to explore the surrounding area, well-known for its wineries for those who enjoy wine-tasting, and its local balsamic vinegar that is popular with some well-known British Columbia chefs. 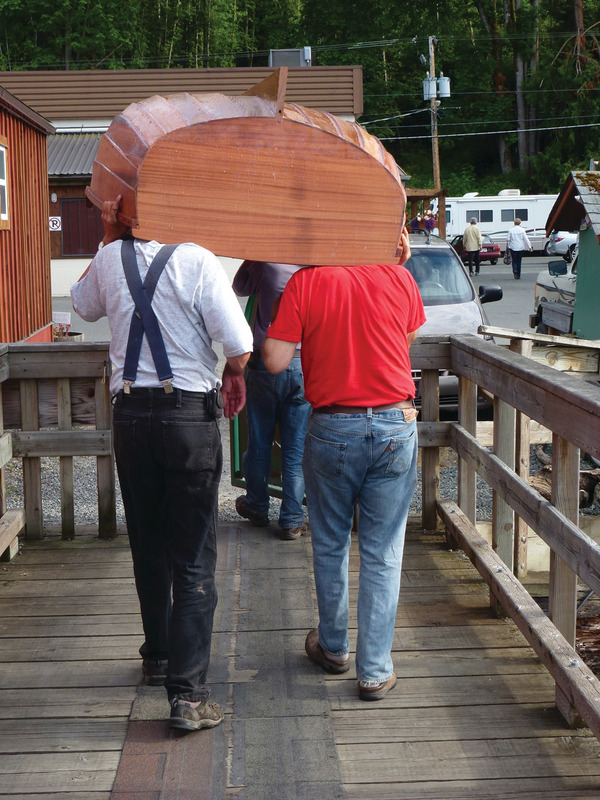 In September, one of the highlights is the Cowichan Exhibition, which has been running continuously since 1863. Along with farming exhibits there is a range of entertainment, this year provided by groups like the Kerplunks, Bijoux du Bayou, and the Renovation Blues Band, as well as fun events like the “sheep to shawl” competition, milking contest, and a tractor pull. The builders taking the completed traditional wooden skiff for launching. There are many rewards to voluntourism. Whether you choose to indulge yourself in a favourite pastime in a domestic location like I did to support the preservation of local culture, or travel overseas to help improve the lives of the less-privileged in developing nations, you will take away as much as you leave. Alan Boreham is a world traveler and co-author of the memoir “Beer in the Bilges, Sailing Adventures in the South Pacific,” available from Amazon and other booksellers. Blog: alanboreham.wordpress.com.